The sales run for a limited time… usually between 48 and 72 hours so if you see something, better grab it! In addition to the insane price cuts, they are always offering promo codes to receive even more of a deep discount. What isn't there to love about that? 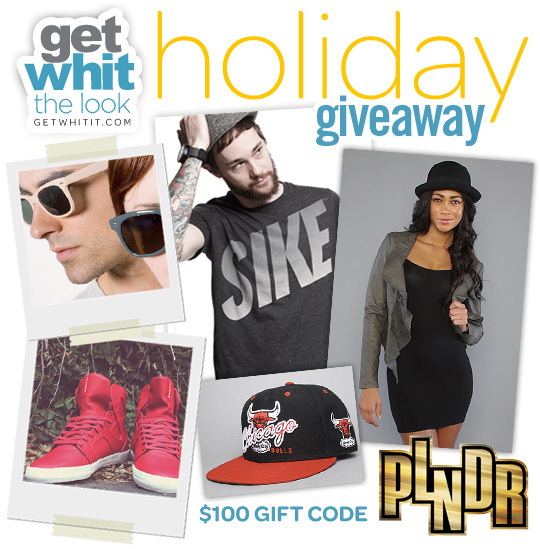 So guys and girls, enter to win $100 to spend on PLNDR, a great gift for the holidays! To enter, sign up for our newsletter and a PLNDR account below. Also, connect with Get WHIT It and PLNDR on Facebook & Twitter and tweet about the giveaway for better chances.